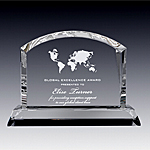 Our creative collection of globe awards and trophies made exclusively of highest quality crystal celebrates individuals of worldly achievements. 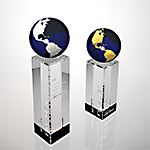 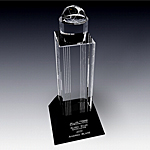 Globe crystal awards and trophies are dedicated to achievements of global impact. 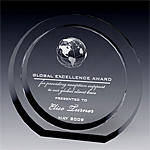 Globe awards are also ideal for companies and organizations with global outreach. 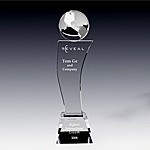 We created a great verity of styles and designs that will satisfy the most selective customers. 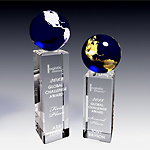 For global leadership awards we recommend our crystal Magellan Award, Global Spirit, Pillars of the Universe and Goddess of the Universe. 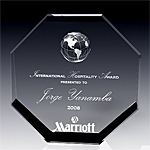 Our Global Imperium crystal award and Prestige Globe award celebrate establishments of international impact. 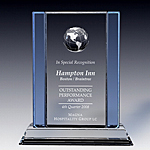 Many of tourism as well as real estate professionals choose our Cambridge World Plaque, Globe Column and Universal Crystal Award. 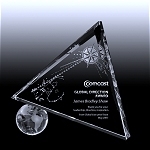 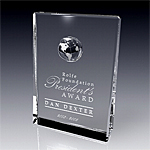 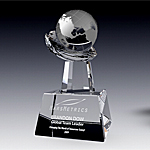 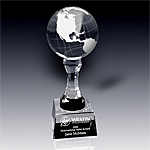 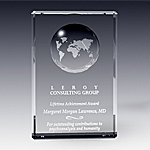 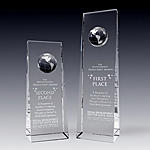 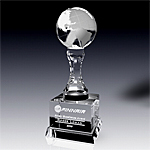 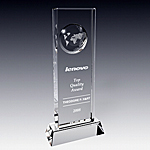 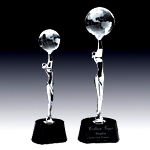 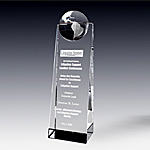 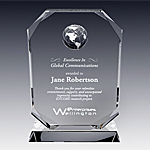 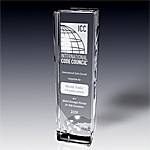 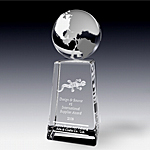 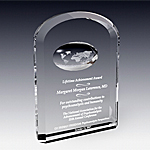 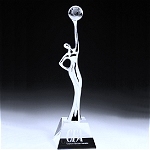 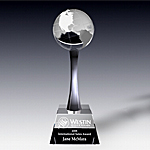 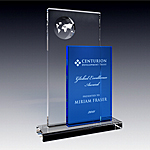 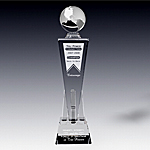 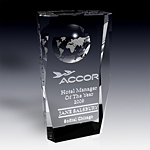 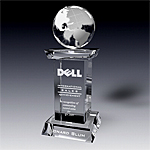 All of our crystal globe awards and trophies can be personalized with logos and text engraving.